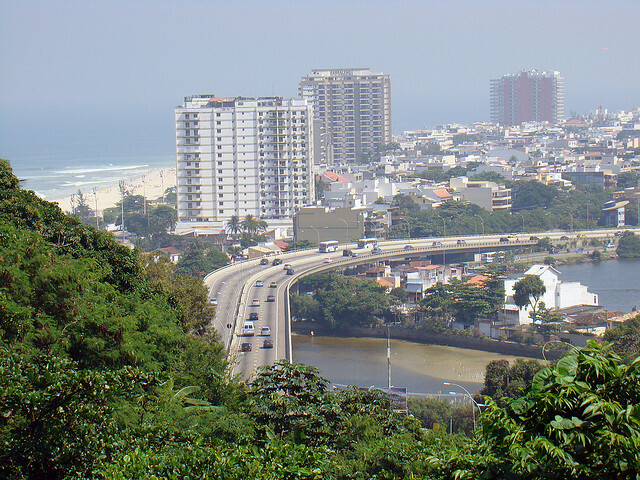 Rio de Janeiro unveiled the first station of its forthcoming bus rapid transit system, which conntects Barra da Tijuca (pictured above) to other city neighborhoods. Photo by Rodrigo Soldon. The Brazilian city of Rio de Janeiro unveiled the first station of its forthcoming,123 kilometers-long bus rapid transit (BRT) system. India’s Ministry of Railways Executive Director Anjali Goyal professed the need for India to enact a national railway policy in a presentation at the “Transportation Practices in India and the European Union” workshop. Transit authorities in the American cities of Nashville, Tenn. and Des Moines, Iowa are moving forward with prospective bus rapid transit projects. Two-hundred and twenty-one new, articulated buses will be added to Istanbul’s public transit fleet—already numbering around 3,000 vehicles. The Alliance for Biking and Walking released Bicycling and Walking in the U.S.: 2012 Benchmarking Report. Among its findings is that bicycling and pedestrian funding comprises 1.6 percent of federal transport dollars, yet the active transport modes encompass twelve percent of U.S. travel. Bogota, Colombia launched an electric taxi pilot program. The Clinton Climate Initiative (CCI) Cities program and its C40 Cities Climate Leadership Group (C40) partner collaborated with the city on the project. The Washington, D.C. Office of Planning’s Streetcar Land Use Study concluded that the city’s planned streetcar network will induce tremendous growth in the number of households and businesses accessible to a rail station by walking. Conventionally-fueled vehicles and electric vehicles were compared in the categories of emissions and environmental health impacts for 34 Chinese cities in a new joint study. Bio-technology groups Novozymes and Sea6Energy forged an exploratory research agreement to develop a process for generating biofuels from seaweed. London cyclists currently have the opportunity to experience the street perspectives of city HGV (heavy goods vehicle) drivers through the Metropolitan police’s Traffic Cycle Team’s “Exchanging Places” safety events. A MOU was signed for the transaction of twelve fuel cell stacks to India’s Tata Motors for the powering of zero-emission buses for demonstrations in a collection of Indian cities. Bicycle safety workshops were held last week at the Centro Latino for Literacy in Los Angeles, California. Tags: active transport, Asia, biofuel, Bogota, Brazil, bus rapid transit (BRT), C40 Cities Climate Leadership Group, CCI, China, clean fuels, clean vehicles, Colombia, cycling, Des Moines, electric vehicles, Europe, India, istanbul, London, Los Angeles, Nashville, North America, Ray LaHood, South America, TheCityFix Picks, Turkey, United Kingdom, United States, walking, Washington, D.C.